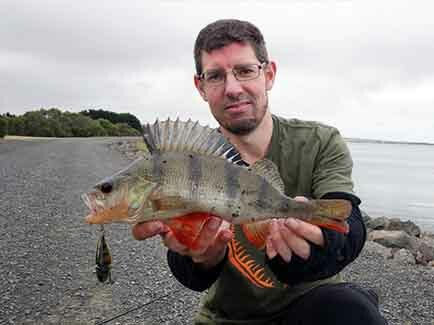 Alan Bonnici headed up to the Geelong area for a brief fishing session around Wurdee Boluc Reservoir. The purpose of the session was to test a couple of new lures including the Savage gear 5.1cm Fat Vibe and the 3D prey hard body lures. The fishing was tough with only a couple of trout surfacing however Alan managed to catch a few Reddies the biggest in the mid 30’s which took the fat vibe on a subtle slow roll. The rain settled in ending the session early but I belive this same technique on sundown would fish very well.